The MYSTIC trial enrolled 1,118 patients with metastatic NSCLC who were randomly allocated to durvalumab alone, durvalumab plus tremelimumab, or chemotherapy. The primary endpoints were overall survival for durvalumab versus chemotherapy, and overall survival and progression free survival for durvalumab plus tremelimumab versus chemotherapy in patients with 25% or greater PD-L1 expression in tumour cells. An exploratory analysis examined survival according to high or low tumour mutational burden (TMB) in the blood – 16 or more mutations per megabase was defined as “high” and less than 16 as “low”. (2) TMB evaluation was performed in more than 70% of patients, of whom 40% had high TMB. In patients with high TMB, overall survival was 16.5 months with durvalumab plus tremelimumab versus 10.5 months with chemotherapy, with a hazard ratio of 0.64. Overall survival with durvalumab alone was 11 months. The proportion of high TMB patients alive at two years was 39% with durvalumab plus tremelimumab, 30% with durvalumab, and 18% with chemotherapy. In those with low TMB, overall survival was 8.5 months with durvalumab plus tremelimumab, 12.2 months with durvalumab, and 11.6 months with chemotherapy. Safety data were consistent with previous studies. The incidence of grade 3/4 treatment-related adverse events was 14.6%, 22.1% and 33.8% with durvalumab, durvalumab plus tremelimumab, and chemotherapy, respectively. 2 The tumour mutational burden cut off of 16 mutations per megabase in the blood is equivalent to the cut off used in the CheckMate 227 trial of ten mutations per megabase in the tumour. 3 Hellmann MD, Ciuleanu TE, Pluzanski A, et al. Nivolumab plus Ipilimumab in Lung Cancer with a High Tumor Mutational Burden. N Engl J Med. 2018.;378:2093-2104. doi: 10.1056/NEJMoa1801946. 4 Planchard D, Popat S, Kerr K, et al. Metastatic non-small cell lung cancer: ESMO Clinical Practice Guidelines for diagnosis, treatment and follow-up. Ann Oncol. 2018;29(Supplement 4):iv192-iv237. doi: 10.1093/annonc/mdy275. Background: Durvalumab (D), a human IgG1 mAb against PD-1 and CD80, has shown clinical activity in patients (pts) with non-small cell lung cancer (NSCLC). Tremelimumab (T) is a human IgG2 mAb against CTLA-4. D+T has previously also shown durable responses in metastatic NSCLC (mNSCLC). MYSTIC (NCT02453282) was an open-label, Phase 3 trial of first-line treatment with D vs platinum-based doublet chemotherapy (CT) and D+T vs CT in mNSCLC. Results: 1118 pts were randomised. Baseline characteristics were balanced. Efficacy findings are presented for the 488 pts with PD-L1 TC greater than or equal to 25%. Median OS was 16.3 vs 12.9 months for D vs CT (HR 0.76 [97.54% CI, 0.564, 1.019]; p1/4 0.036) and 11.9 vs 12.9 months for D+T vs CT (HR 0.85 [98.77% CI, 0.611, 1.173]; p1/4 0.202). Median PFS was 3.9 vs 5.4 months for D+T vs CT (HR 1.05 [99.5% CI, 0.722, 1.534]; p1/4 0.705). 39.5% pts in the CT arm received subsequent immunotherapy after treatment discontinuation vs 6.1%and 3.1% pts in the D and D+T arms. Incidence of Grade 3/4 treatment-related AEs was 14.6%, 22.1% and 33.8% with D, D+T and CT, respectively. Efficacy based on additional PD-L1 cutoffs will be presented. Conclusions: In pts with mNSCLC, while statistical significance was not achieved for primary OS and PFS endpoints, first-line D demonstrated clinically meaningful improvement in OS vs CT (PD-L1 TC greater than or equal to 25%). Safety data were consistent with the known safety profiles of D+/-T. Further analyses are ongoing. Editorial acknowledgement: Medical writing support, which was in accordance with Good Publication Practice (GPP3) guidelines, was provided by Rebecca Douglas, PhD, of Cirrus Communications (Macclesfield, UK), an Ashfield company, and was funded by AstraZeneca. Clinical trial identification: NCT02453282 (release date: May 25, 2015). Legal entity responsible for the study: AstraZeneca plc. Disclosure: N.A. 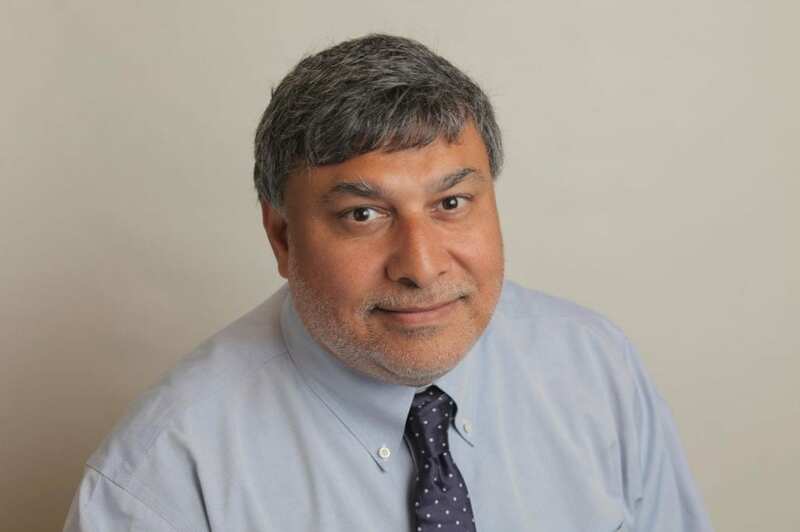 Rizvi: Advisory boards: Abbvie, AZ, BMS, EMD Serono, Genentech, GSK, Janssen, Lilly, Merck, Novartis, Pfizer, Regeneron, Neogenomics, Oncomed, Gritstone, Bellicum; Equity: Oncomed, Gritstone, Bellicum, ARMO; Royalties: PGDX. B. Chul Cho: Research funding: Novartis, Bayer, AstraZeneca,MOGAM Institute, Dong-A ST, Champions Oncology, Janssen, Yuhan, Ono, Dizal Pharma, MSD Consultancy: Novartis, AZ, BI, Roche, BMS, Ono, Yuhan, Pfizer, Eli Lilly, Janssen, Takeda, MSD; Stock: TheraCanVac, Inc. N. Reinmuth: Personal fees: AstraZeneca, Roche, Boehringer-Ingelheim, Takeda, MSD, BMS, Novartis, Pfizer, Merck. A. Smolin: Grants: AstraZeneca; Grants and personal fees: AstraZeneca, Roche, MSD, BMS; Personal fees: BIOCAD, Boehringer-Ingelheim. S.J. Antonia: Advisory board/contracted research: BMS, Novartis, Merck, CBMG, Boehringer-Ingelheim, AstraZeneca/ MedImmune, Memgen, FLX Bio, Nektar, Venn. G. Robinet: Grants and personal fees: AstraZeneca; Grants and personal fees: MSD; Personal fees: Boehringer-Ingelheim. R.Natale: Spouse: Employee (Medical Science Liaison) of AZ (salary/compensation completely unrelated to the contracted research work performed at my institution that is the subject of the submitted abstract). L. Zhao: Full time employment: AstraZeneca. P.K. Stockman: Full-time employee, stock ownership: AstraZeneca. V. Chand: Fulltime employment: AstraZeneca; stock ownership: BMS. S. Peters: Personal fees: Abbvie, Amgen, AZ, Bayer, Biocartis, BI, BMS, Clovis, Daiichi Sankyo, Debiopharm, Eli Lilly, F. Hoffmann-La Roche, Foundation Medicine, Illumina, Janssen, MSD, Merck Serono, Merrimack, Novartis, Pharma Mar, Pfizer, Regeneron, Sanofi, Seattle Genetics, Takeda; Non-financial support: Amgen, AZ, BI, BMS, Clovis, F. Hoffmann- La Roche, Illumina, MSD, Merck Serono, Novartis, Pfizer. All other authors have declared no conflicts of interest.